Fruit desserts have always been one of my favorites, whether I'm baking them or eating them. 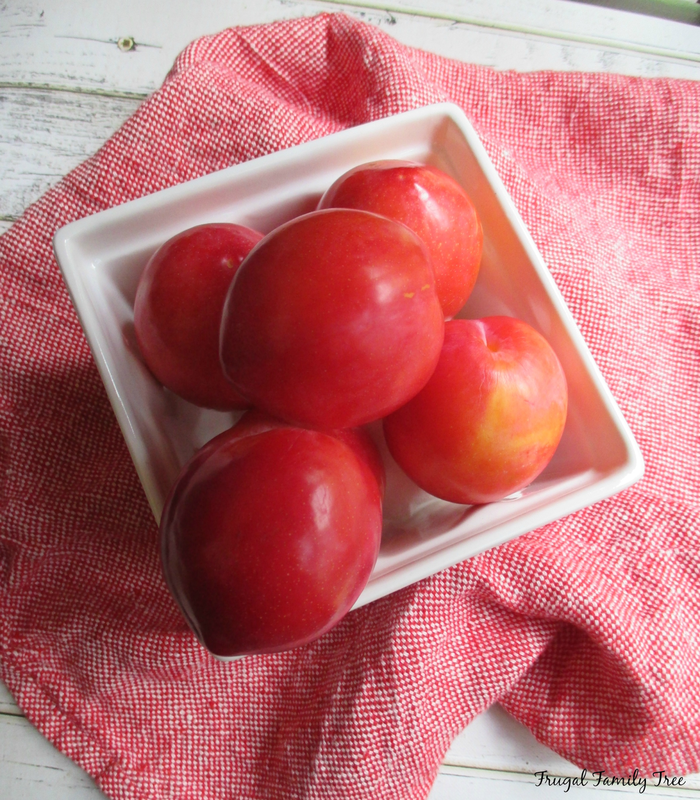 The arrival of spring and summer means that I'll have plenty of different kinds of fruits to pick from, and plums are always on my shopping list. I made this delicious Plum Butter Cake the other day because I got so excited to see plums in my local grocery store. The recipe is quite easy, and the batter is a basic yellow cake batter, scented with cinnamon. The plums also give a lovely flavor to the cake, too. Last year a friend of one of my daughter's let us pick all the yellow plums that we could carry from her trees. We turned them into tarts, muffins, and topping for French toast and waffles. And we ate plums for days, it was heaven. 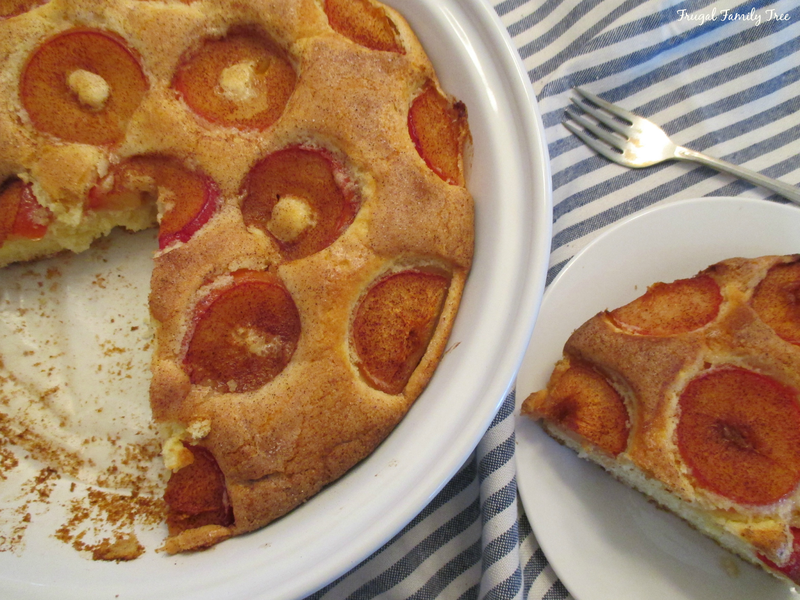 I could have let the plums I bought ripen more, but I was too excited to bake the cake. 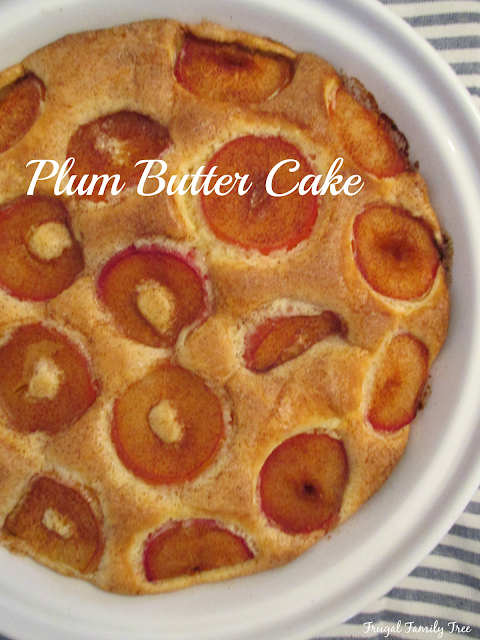 Apricots, nectarines, and peaches can be substituted for the plums if you like. Butter a 9-inch round or 8-inch square cake or deep dish pie plate. Line the bottom with parchment paper, and butter the paper. Stir the flour, baking powder, and salt together into a bowl. In another bowl, using an electric mixer, beat the butter and 3/4 cup sugar until pale and fluffy. Add the eggs and beat well. Add the dry ingredients and mix well, about 2 minutes. Pour the batter into the prepared pan and spread evenly. 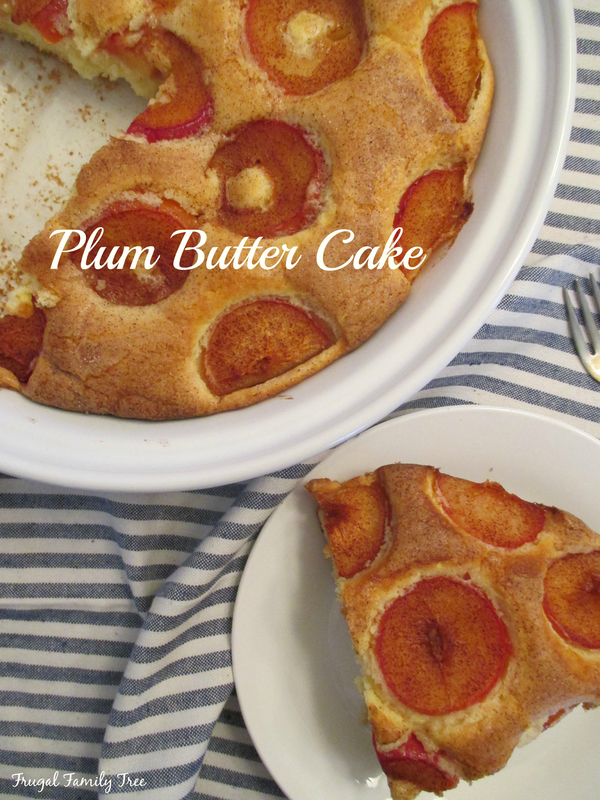 Poke the plum slices into the batter, placing them close together. In a small bowl, combine the cinnamon and 1 tablespoon sugar and sprinkle evenly over batter. Bake 45-50 minutes, until the cake is golden on top, and a toothpick inserted into the center comes out clean. Let cool in the pan on a wire rack 30 minutes before serving.